As a regional show, MECHANEX aims to bring the aftermarket to you, meaning wherever you are in the country there’s never a show too far away! 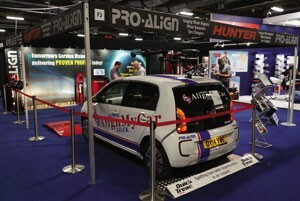 Boasting a whole array of the industry’s top manufacturers and distributors our Alexandra Palace show covers the wide spectrum of vehicle servicing components and equipment that every quality technician will require to keep their business ‘ahead of the rest’. Taking place from 10am till 4pm on April 19th – 20th, it’s going to be a must-attend event! The AA is one of the UK’s best known and most trusted brands and the largest motoring organisation in the UK…. and it’ growing! The company is recruiting Roadside Patrols for West London and the M40/M4/M3 corridors. If you’re a vehicle technician, hard-working, innovative with great people skills and can work well under pressure then visit the stand for more information bout about a career as a Roadside Patrol/Technician. Absolute Alignment will be demonstrating its brand new Vector 6 tower-less 3D wheel alignment system at MECHANEX. By removing the traditional camera tower, the Vector 6 brings 3D alignment into the reach of space-limited workshops. With a huge database of vehicles which is updated regularly, the latest technology and an excellent price, the Vector 6 is poised to take the market by storm. Absolute Alignment will be offering a free service, recalibration and database update at six months – worth £540 – with every order placed. Visit Absolute Alignment on stand C38 to take advantage of this great offer. Autodata will be showcasing its latest Workshop Application and offering visitors the chance to test the innovative platform for themselves. With data covering over 29,000 models across 80 vehicle manufacturers, the comprehensive online tool provides quick and easily access to technical information to assist with service, maintenance and repair procedures. 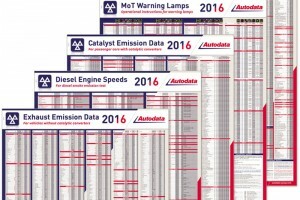 Visit Autodata on stand D82 where you can sign-up to its Diagnostic & Repair subscription package to receive a FREE 5-pack of MoT Wall Charts worth £87.50. Visit Chicago Pneumatic on stand C18 to enter and give yourself the chance to win some great prizes, as well as seeing CP’s latest product offering. 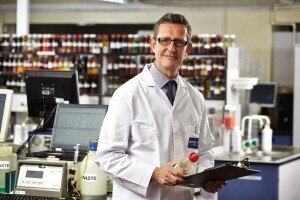 Adrian will also be hosting ‘Ask Ade Live’, a seminar on the role of lubricants in after-treatment devices and AdBlue technology in the Technical Troubleshooter room at 10:30am on both days. The first 200 visitors to stand D42 on each day will bag a free can of Morris Lubricants MD4 general purpose maintenance spray. To see how any of these systems can increase your workshop profitability, talk to the Pro-Align team on stand D22, or attend the seminar at 12:00 in the Technical Troubleshooter room. Visit Bosch on stand D24 for more information and to sign-up. PMM will be on stand C6, so feel free to pop by with any comments or questions about the publication, or just to say hello. There will be plenty of special guests to chat to, including former garage owner Andy Savva, who is hosting a business seminar, and original ‘Stig’ Perry McCarthy.